I heard Mark Roberge once say at a mini-conference, "If you want to get VC's ears to perk up, use these three words- predictable, scalable, revenue." There is such a thing in auto racing as a predictable lap timer. As you can imagine, a race car driver hustles their car around a track and seeks to achieve the fastest possible time. A predictable lap timer gives the driver feedback in real-time via GPS on how their current lap compares to one of three criteria- target lap time, best lap time, or last lap time. It's year end, so I was taking a look at our revenue for 710 Studios for the year, and also was looking at some activity reports in HubSpot to see if there was any correlation. Essentially, I'm looking to build my predictable lap timer for 2016. At first glance, it looks like we are all over the place. In some case we are. 2015 was a big growing year for us. We didn't have a bad year financially, though. We surpassed last year's revenue (last lap time), and also our best year ever (best lap time), however, we missed our revenue goal (target time). Honestly, looking back, I'm not sure the target time was achievable with the car we were driving. We are very conscious that our kids need shoes and working diligently to get them some. I also know we haven't quite found our equilibrium yet, so how can we make our ad-hoc activities more predictable going forward? That's when I had my "Ah-Ha" moment. It's pretty clear that our website activity directly effects our revenue 3 months down the road. We need to ensure there is more effort being applied to our own business to reproduce what happened last March, to get paid like we did last June. 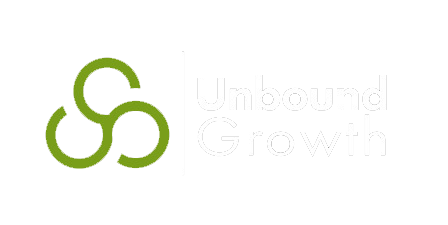 We've gone through the Unbound Growth process, so it is clear to me what we need to do next year. Our Lap Timer is already running for 2016. I'm happy to share more of this story if you are interested. This link will make it easy to schedule a time. ...and then maybe book a time with Rick and Carole before December 17.